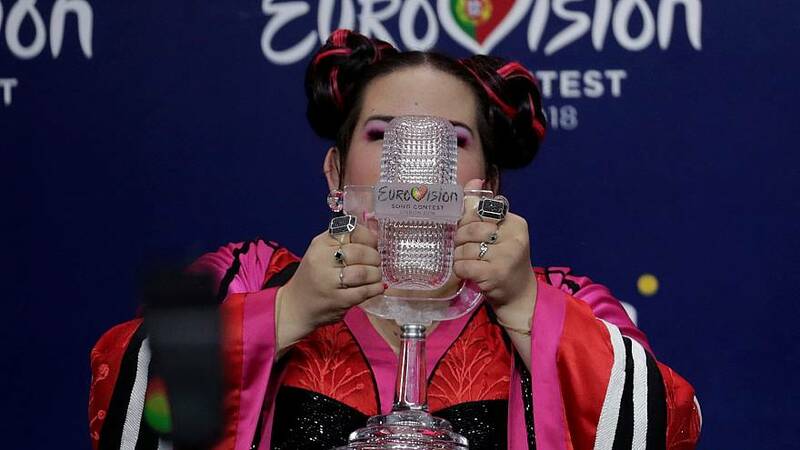 Israel's Netta Barzilai won the Eurovision Song Contest in Lisbon on Saturday, bringing Israel its fourth victory in the glitzy pageant, watched by over 200 million people around the world, and the right to host the event next year. She won with a lively dance mix, singing "I’m Not Your Toy" that has a women's empowerment twist, beating Cypriot entry Eleni Foureira with her fiery Latin pop song "Fuego". Cyprus and Israel had been the bookmakers’ favourites going into the 63rd edition of the Eurovision contest, which was hosted in the Portuguese capital Lisbon.